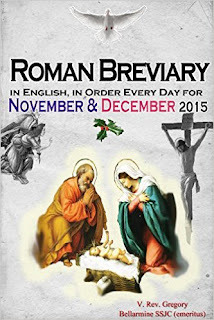 Pray the Pre Vatican II, Traditional Roman Catholic Breviary in English totally in order! No back and forth flipping, no excessive clicking, no complex calculating what Day it is or which propers, or antiphons - just click the Date and pray the Liturgy of the Hours. Super easy.